Autumn officially begins on Sept. 21, 2016. In honor of the changing season, and because it is Flash Fiction Friday, I bring you a classical poem, written by one of the mainstays of the Romantic movement in the arts and literature, John Keats. When Keats died of tuberculosis at the age of 25, he had been writing poetry seriously for only about six years, and publishing for only four. In his lifetime, sales of Keats’s three volumes of poetry amounted to around 200 copies. Yet this Indie author is one of the most celebrated and studied poets of the last three hundred years. He writes, “Where are the songs of Spring? Ay, where are they?” and I know what he feels. I look forward to the changing of the seasons, the the colors of fall, the red of sumac and vine-maple, but I confess, I will miss the summer. Sometimes, the cold dark, rain of the Northwest winter lacks appeal. I treasure the occasional patch of blue sky and the glimpse of sun. This is a bold confession of both sexual desire and romantic love—topics that, in polite society, were discussed behind closed doors. The poet was unafraid to say what most young men of his time felt, and he said it so beautifully it connects and resonates with modern readers. Quote from Wikipedia (the fount of all knowledge):John Keats (Oct. 31, 795-Feb 23, 1821) was an English Romantic poet. He was one of the main figures of the second generation of Romantic poets, along with Lord Byron and Percy Bysshe Shelley, despite his work having been in publication for only four years before his death. Although his poems were not generally well received by critics during his lifetime, his reputation grew after his death, and by the end of the 19th century, he had become one of the most beloved of all English poets. He had a significant influence on a diverse range of poets and writers. Jorge Luis Borges stated that his first encounter with Keats’s work was the most significant literary experience of his life. The poetry of Keats is characterized by sensual imagery, most notably in the series of odes. 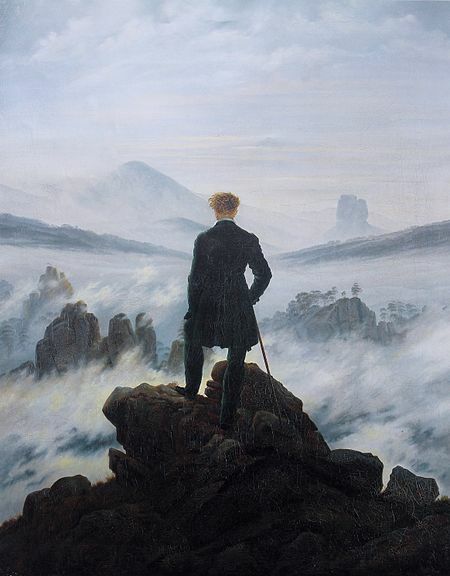 This is typical of romantic poets, as they aimed to accentuate extreme emotion through the emphasis of natural imagery. Today his poems and letters are some of the most popular and most analyzed in English literature. We often think that the great authors and artists of history were somehow wiser than we are. We read their brilliant works, and they shine, as if they were slightly superhuman, and perfect in every way. This is not always true. Sometimes they were wild teenagers with unrealistic ideals, haring off on adventures while their parents had nervous breakdowns over their behavior. Mary Shelley , famous as the author of Frankenstein; or, The Modern Prometheus was born Mary Wollstonecraft Godwin on August 30, 1797. Her father was the political philosopher, William Godwin, and her mother was the philosopher and feminist, Mary Wollstonecraft. Both were famous in their day, and are still well known. Mary’s mother died when she was eleven days old. Afterwards, Mary and her older half-sister, Fanny Imlay (her mother’s first child by an affair with a married man) were reared by their father. When Mary was four, her father married his neighbor, Mary Jane Clairmont. Mary Jane had a two year old daughter, Clara (Claire). Godwin considered all three girls his daughters and raised them accordingly. William Godwin provided his three daughters with a good education, encouraging them to adhere to his liberal political theories, and values. He raised them to think independently, to his eternal regret. 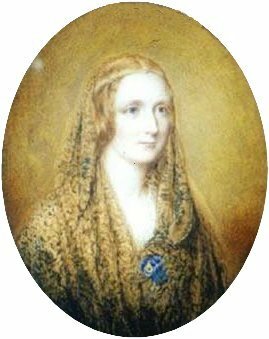 In 1814, at the age of seventeen, Mary Godwin began a romantic relationship with one of her father’s political followers, the married Percy Bysshe Shelley. Together with Mary’s stepsister, fifteen-year-old Claire Clairmont, Mary and Percy left for France and traveled through Europe. 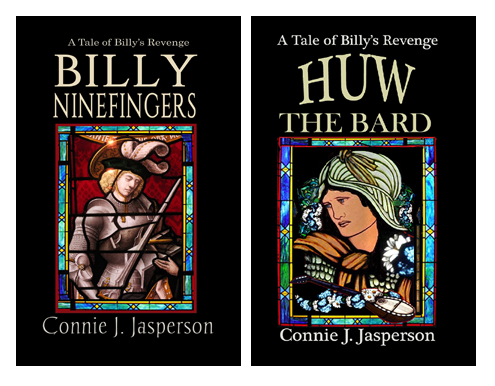 Their relationship created a huge scandal among the nobility. Mary’s father completely disowned her, which both surprised and hurt her deeply. Upon their return to England, Mary was pregnant with Percy’s child. Over the next two years, she and Percy faced social ostracism, they were in constant debt (often fleeing creditors), and they also suffered the death of their prematurely born daughter. In 1816, the couple famously spent the summer with Lord Byron, John William Polidori, and Claire Clairmont near Geneva, Switzerland. While the weather was horrendous, the summer was the most important, in literary terms, of any summer since. This is where Mary conceived the idea for her novel, Frankenstein; or, The Modern Prometheus. It was also the infamous summer with no sun, a volcanic-winter event caused by the massive 1815 eruption of Mount Tambora in the Dutch East Indies (now known as Indonesia). It was the largest eruption in at least 1,300 years, and, falling in the Little Ice Age as it did, caused worldwide famine in the year that followed. 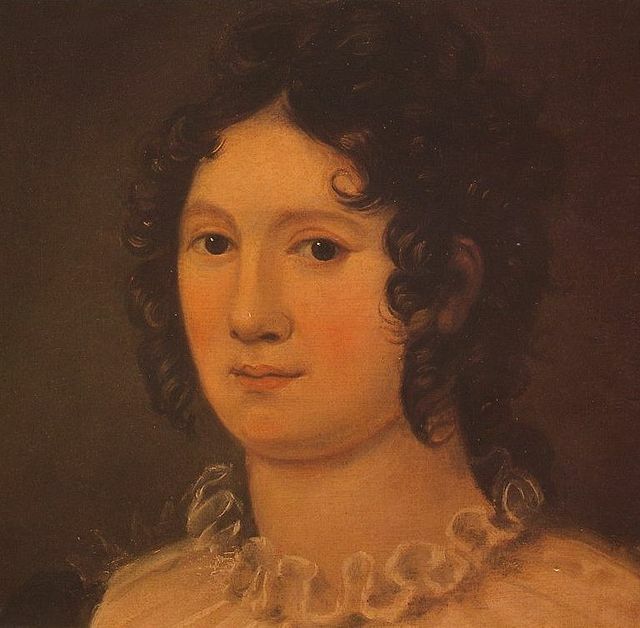 They were prompted to go to Geneva by Mary’s stepsister, Claire Clairmont, who, in competition with her sister, had initiated a liaison with mad, bad, and dangerous to know Lord Byron the previous April. 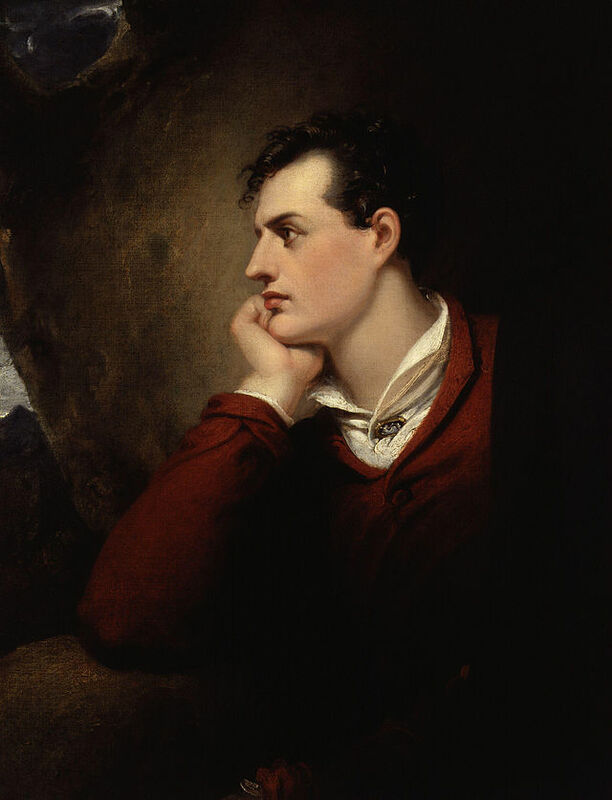 Obsessed with him despite the fact that Byron’s interest in her had already waned, Claire used the opportunity of introducing him to the Shelleys to act as bait to lure him to Geneva. 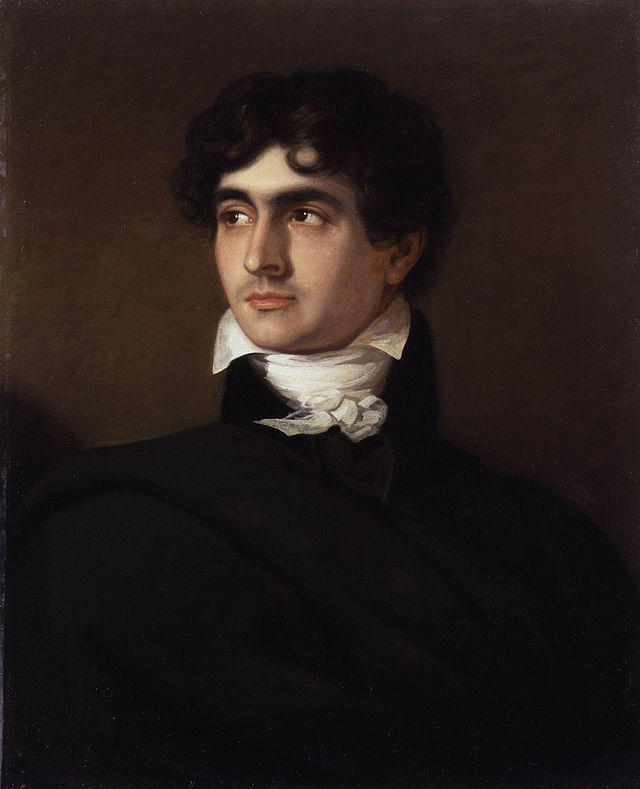 While on a boating tour the two took together, Shelley was inspired to write his Hymn to Intellectual Beauty, often considered his first significant production since Alastor, or The Spirit of Solitude. A tour of Chamonix in the French Alps inspired Mont Blanc: Lines Written in the Vale of Chamouni. Shelley also encouraged Byron to begin an epic poem on a contemporary subject, advice that resulted in Byron’s composition of Don Juan. Mary and Percy married in late 1816 after the suicide of Percy Shelley’s first wife, Harriet. This reads more like a modern soap-opera than what we nowadays think would be the accepted behavior of well-to-do people living during the early 19th century. To William Wordsworth, poetry should begin as “the spontaneous overflow of powerful feelings,” which the poet then “recollect[s] in tranquility,” evoking a new but corresponding emotion the poet can then mould into art. In order to express these feelings, it was considered that the content of the art needed to come from the imagination of the artist, with as little interference as possible from “artificial” rules dictating what a work should consist of. Samuel Taylor Coleridge and others believed there were natural laws which the imagination, at least of a good creative artist, would unconsciously follow through artistic inspiration if left alone to do so. In other words–they were hippies, and it was the Regency equivalent of the summer of love. The Shelleys left Britain in 1818 for Italy, where their second and third children died before Mary Shelley gave birth to her last and only surviving child, Percy Florence Shelley. 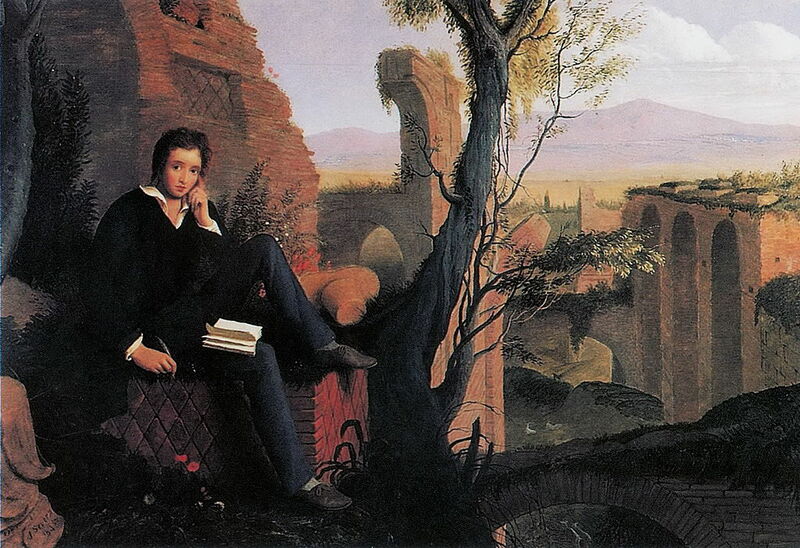 In 1822, Percy Bysshe Shelley drowned when his sailing boat sank during a storm near Viareggio. 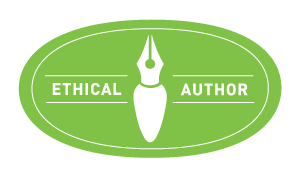 She also wrote numerous short stories and articles that were widely published, along with many children’s stories, and numerous other unpublished work found in her papers after her death. After 200 years of being just Percy Shelley’s wife who got lucky with the popularity of Frankenstein, scholars now admit that Mary Shelley was a major figure of the Romantic Movement, significant for both her literary achievements and her political voice as a woman and a liberal. 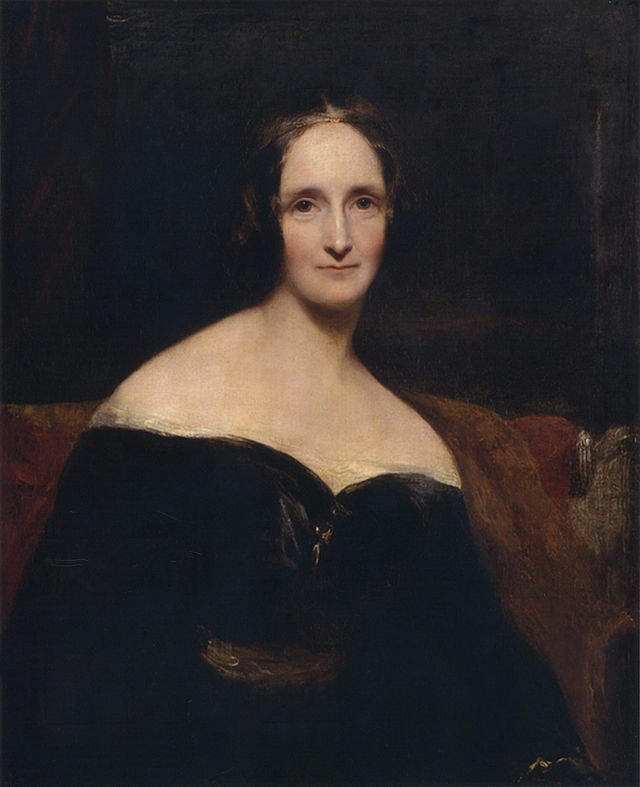 Mary Shelley died at the age of 53 from a brain tumor. Her life was not long, by today’s standards, but she lived it to the fullest. She gave up everything to follow Percy, and while he loved her, she nevertheless had to sit by while he had affairs, even with her stepsister, Claire.